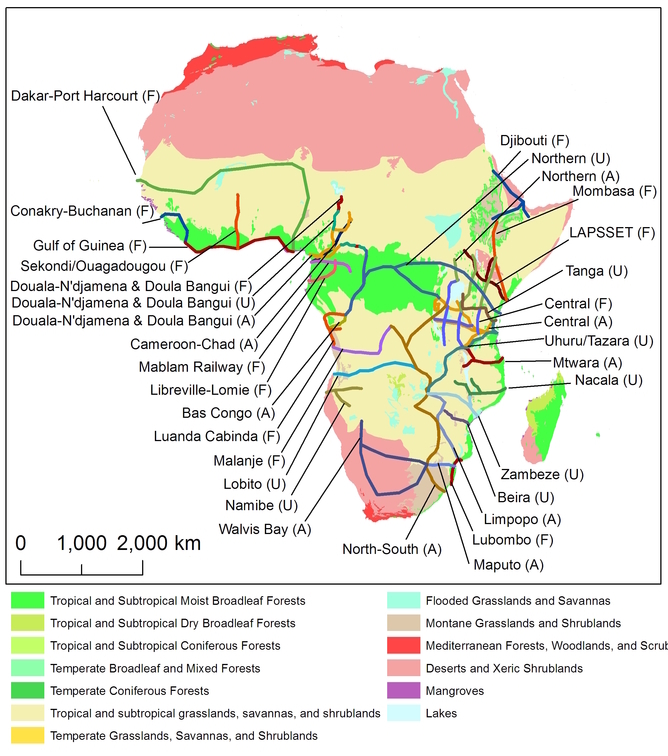 Massive Road and Rail Projects could be Africa’s Greatest Environmental Challenge. Africa’s natural environments and spectacular wildlife are about to face their biggest challenge ever. In a paper published today in Current Biology, my colleagues and I assess the dramatic environmental changes that will be driven by an infrastructure-expansion scheme so sweeping in scope, it is dwarfing anything the Earth’s biggest continent has ever been forced to endure. Africa’s population is exploding – expected nearly to quadruple this century, according to the United Nations. With that, comes an escalating need to improve food production and food security. In addition, Africa today is experiencing a frenzy of mining activity, with most of the investment coming from overseas. China, for instance, is investing over US$100 billion annually, with India, Brazil, Canada and Australia also being big foreign investors. To feed its growing population and move its minerals to shipping ports for export, Africa needs better roads and railroads. When located in the right places, improved transportation can do a lot of good. It makes it easier for farmers to get access to fertiliser and new farming technologies, and cheaper to get crops to urban markets with less spoilage. It can also encourage rural investment while improving livelihoods, access to health services, and education for local residents. Improved transportation is especially important for Africa’s agriculture, which is badly under-performing. In many areas, large “yield gaps” exist between what could be produced under ideal conditions and what is actually being produced. With better farming, Africa’s yields could be doubled or even tripled without clearing one more hectare of land. However, there is another side to new transportation projects — a dark side, especially for the environment. When located in areas with high environmental values, new roads or railroads can open a Pandora’s box of problems. Roads slicing into remote areas can lead to range of legal and illegal human land uses. For instance, in the Amazon, 95% of all deforestation occurs within five kilometres of a road; and for every kilometre of legal road there are three kilometres of illegal roads. 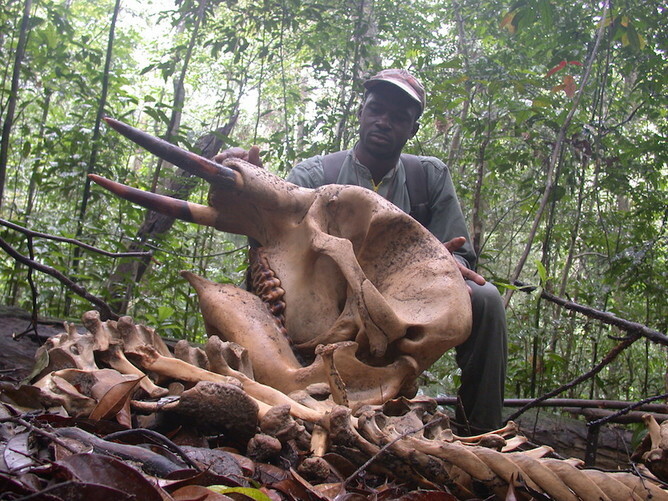 In the Congo Basin, forest elephants decline sharply, and signs of hunters and poachers increase, up to 50 kilometres from roads. In the wrong places, roads can facilitate invasions of natural areas by illegal miners, colonists, loggers and land speculators. In my view, the explosive expansion of roads today is probably the greatest single peril to the world’s natural environments and wildlife. Earlier studies that my colleagues and I conducted, including a major study published in Nature last year, suggest Africa is likely to be a global epicentre of environmental conflict. A key reason: an unprecedented scheme to dramatically expand African roads, railroads and energy infrastructure. In total, we have identified 33 massive “development corridors” that are being proposed or are underway. At the heart of each corridor is a road or railroad, sometimes accompanied by a pipeline or power line. The 33 development corridors that are being proposed or constructed in sub-Saharan Afirca. William F. Laurance et al. (2015) Current Biology. The projects have a variety of proponents, including the African Development Bank, national governments, international donors and lenders, and commercial agricultural and mining interests. They’re intended to promote large-scale development and their scope is breathtaking. If completed in their entirety, the corridors will total over 53,000 kilometres in length, crisscrossing the African continent. Some individual corridors are over 4,000 kilometres long. Will these corridors generate key social and economic benefits, or will they cause great environmental harm? To address this question, we looked at three factors, focusing on a 50-kilometre-wide band laid over the top of each corridor. First, we assessed the “natural values” of each corridor, by combining data on its biodiversity, endangered species, critical habitats for wildlife, and the carbon storage and climate-regulating benefits of its native vegetation. Second, we mapped human populations near each corridor, using satellite data to detect nightlights from human settlements (to avoid lands that were simply being burned, we included only places with “persistent” nightlights). We then combined the natural-value and population data to generate a conservation-value score for each corridor, reasoning that sparsely populated areas with high natural values have the greatest overall conservation value. Finally, we estimated the potential for new roads or railroads to increase food production. Areas that scored highly had soils and climates suitable for farming but large yield gaps, were within several hours’ drive of a city or port, and were projected to see large future increases in food demand. When we compared the conservation value of each corridor with its potential agricultural benefits, we found huge variation among the corridors. A half dozen of the corridors look like a really good idea, with large benefits and limited environmental costs. 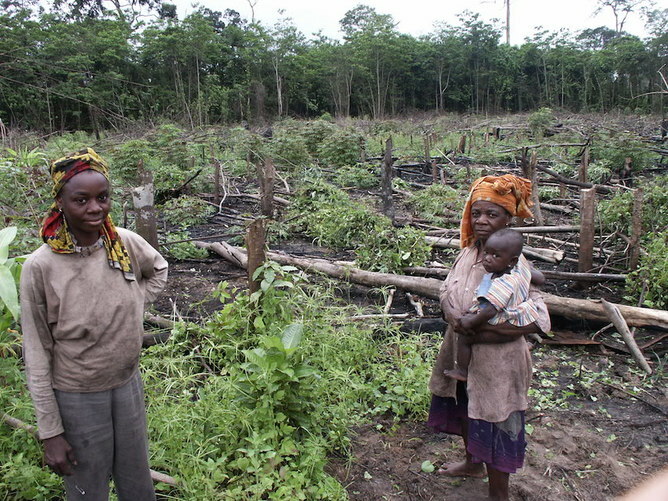 However, another half dozen seem like a really bad idea, in that they’d damage critical environments, especially rainforests of the Congo Basin and West Africa and biologically rich equatorial savanna regions. In the middle, there are 20 or so corridors that appear “marginal”. These tend to have high environmental values and high potential agricultural benefits, or vice versa. We argue that these marginal projects should be evaluated in detail, on a case-by-case basis. If they do proceed, it should only happen under the most stringent conditions, with careful environmental assessment and land-use planning, and with specific measures in place (such as new protected areas) to limit or mitigate their impacts. There’s no such thing as a free ride. For Africa, the dangers of the development corridors are profound. Even if well executed, we estimate that the current avalanche of corridors would slice through over 400 protected areas and could easily degrade another 2,000 or so. This bodes poorly for Africa’s wildlife and biodiversity generally. Beyond this, the corridors will encourage human migration into many sparsely populated areas with high environmental values. The wild card in all this is the hundreds of billions of dollars of foreign investments pouring into Africa each year for mining. Even if a corridor is likely to yield only modest benefits for food production, it may be very difficult for governments and decision makers to say no to big mining investors. The bottom line: it could be a fraught battle to stop even ill-advised development corridors, though not impossible. If we shine a bright light on the corridors and argue strongly that those with limited benefits and large costs are a bad idea, we may succeed in stopping or at least delaying some of the worst of them. This is unquestionably a vital endeavour. Africa is changing faster than any continent has ever changed in human history, and it is facing unprecedented socioeconomic and environmental challenges. The next few decades will be crucial. We could promote relatively sustainable and equitable development — or end up with an impoverished continent whose iconic natural values and wildlife have been irretrievably lost.